Almost any Christmas party you go to is going to feature cookies as a part of the food spread. 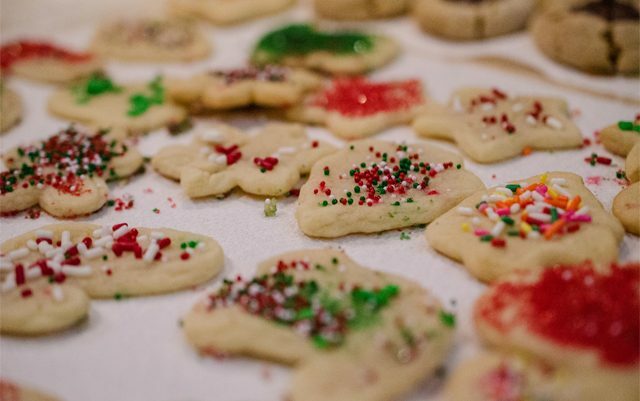 If you are considering making edibles for your friends or family this Christmas, then simple cannabis sugar cookies are the ideal starting place. The recipe is simple, and sugar cookies are a commonly loved holiday treat for many. Before you can make the cookies, however, you will need to make your cannabutter. 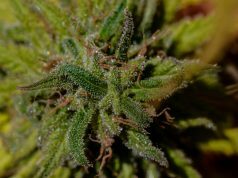 This is a relatively simple process and easy to learn as there are several ways you can infuse your butter for the best canna-cookie experience. Once you’ve made your cannabutter, you can get started with this awesome cannabis sugar cookie recipe. After making the dough, you can use holiday-themed cookie cutters and colored frosting to make classic Christmas cookies with a 420 twist. Sift flour, baking soda, and salt in a small bowl and set aside. Beat the cannabutter, sugar, eggs and vanilla in a large bowl on medium speed until the mixture is creamy and thoroughly blended. Gradually add the dry ingredients that were set aside, stirring until all ingredients are thoroughly combined. Cover the dough and refrigerate for a minimum of 1 hour. Take the dough out of the refrigerator, and preheat your oven to 375 degrees. Flour a cutting board or a flat, dry surface and roll out the dough to about 1/3-inch thickness. Use your favorite Christmas or holiday themed cookie cutters, transfer to an ungreased baking sheet. Bake for approximately 10-12 minutes, or until light golden brown. Remove from oven, transfer to a wire cooling rack to cool completely before frosting. If you want to add an extra touch, frosting these cookies can bring them to life. You can make a simple cannabis frosting with cannabutter, powdered sugar, milk, vanilla, and food coloring (recipe below), or for visual purposes only you can simply buy colored icing from the grocery store. Beat the confectioners’ sugar, cannabutter, vanilla, and milk together on medium speed until you reach the desired consistency (add more milk if it’s too thick). If you want to add food coloring you can choose one color, or separate the frosting into separate bowls or containers to use multiple colors. You should be able to replace the butter in just about any Christmas cookie recipe with cannabutter for comparable results. If you have a family favorite cookie recipe that you want to try and spice up a bit, this would be the best way to experiment with that. If your cookies turned out too strong, you can always substitute less cannabutter with some plain butter to reduce the intensity. Ideally, you will have 10 mg of THC per cookie, but with homemade edibles things may not always be perfectly portioned. The best thing you can do is to eat one cookie, and wait 1-2 hours to see how you feel before eating another one. 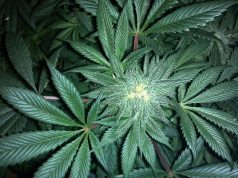 *There are several options for making cannabutter, and you can research what works best for you.